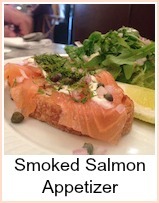 Smoked salmon is a really luxurious and tasty fish. 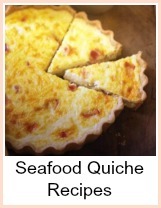 It's made by curing whole fresh salmon. You can buy it in whole sides, pre-sliced sides, sliced packets or offcuts. It's versatile inasmuch as it can be eaten straight from the packet or made into pates, pasta sauces, pies, quiches, tarts and spreads. Eaten for breakfast, lunch, dinner or supper. I love it and really could eat it at every meal! Maybe not forever, but certainly an occasional day. Check out the recipes here for some idea of the versatility of it. You can of course smoke your own - you can make a smoker yourself or buy one. The commercial process of smoking varies - you get hot smoked or cold smoked. 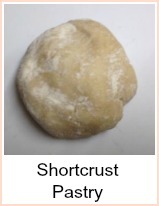 Hot smoked is the flaky sort and cold smoked is the type you slice. This is an amazing video showing you just how easy it is to make your own hot smoked salmon. The smokers are a bit pricey, but you can use it for many things. Smoked meats, cheese and other fish. This smoked salmon recipe is very simple to prepare. It's a useful recipe to have at your disposal. You could serve it as part of a buffet or a meal for the family. I can't remember where I first saw it, so if it's your recipe and you'd like a credit, then please get in touch. You'll need a large flan tin - 28 cm (about 11 inches). It's handy if you have one with a loose bottom as you can remove the tin prior to serving. You can often find smoked salmon offcuts at the supermarket - they're a lot cheaper than slices and as you're going to cut it all up anyway, it doesn't matter that it's in bits! It is also possible to use fresh cooked salmon or even canned salmon in this recipe - drain and remove all the skin and bones prior to using. Heat the oven to 190C Gas Mark 5. Roll out the pastry and use to line a 28 cm flan tin. Prick the bottom, line with baking paper and beans. Bake for 10 minutes. Remove the paper and beans and bake 5 minutes longer. Beat together the cream, eggs, lime zest and dill. Add a few twists of black pepper. Layer half the potatoes over the bottom of the pastry case. 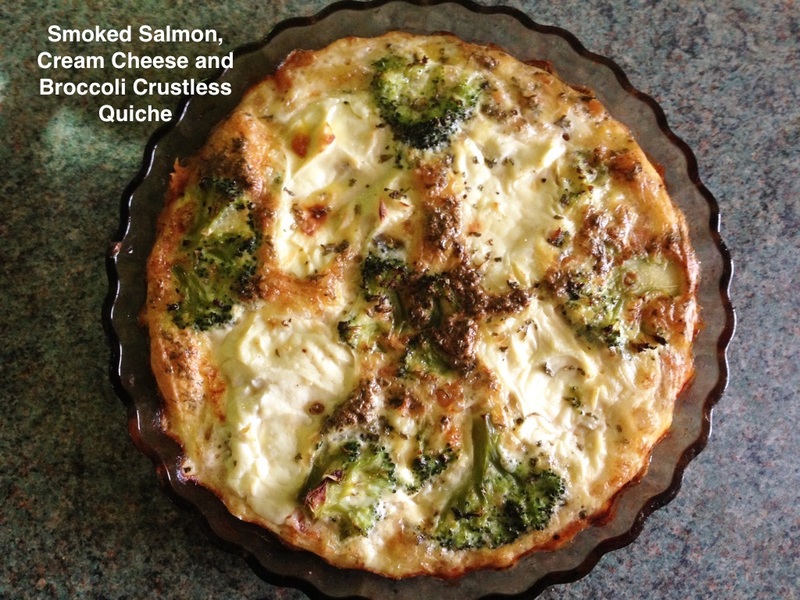 Fill in the gaps with half the salmon and broccoli. Pour over half the egg mixture. Arrange the rest of the potatoes over, then the remaining salmon and broccoli. Pour over the rest of the egg mixture. Bake for 25 minutes or so until the top is coloured and firm to the touch. Leave for 10 minutes to cool a little. Sprinkle with a little dill. Serve warm with a salad and some brown bread and butter. 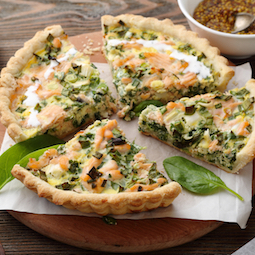 A fabulous smoked salmon quiche recipe. 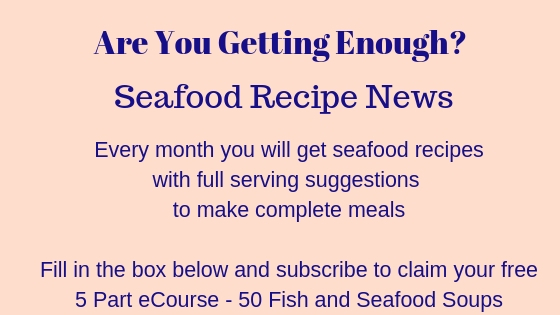 Really useful recipe as you could use fresh or canned salmon in this and it's ideal for a lunch, buffet, snack or dinner.